It’s going to be easier to change humans to adapt to life on Mars rather than try to change the planet to accommodate us. NASA’s current plans, first outlined in 2010 and later fleshed out in 2015, place humans on the red planet in the 2030s. They are currently developing the necessary capabilities to make it happen in tandem with other agencies and private companies. NASA is collaborating with private innovators, like engineering professor Behrokh Khoshnevis, to 3D print structures on the moon with the eventual goal of creating similar structures that can withstand the radiation of the Martian atmosphere. 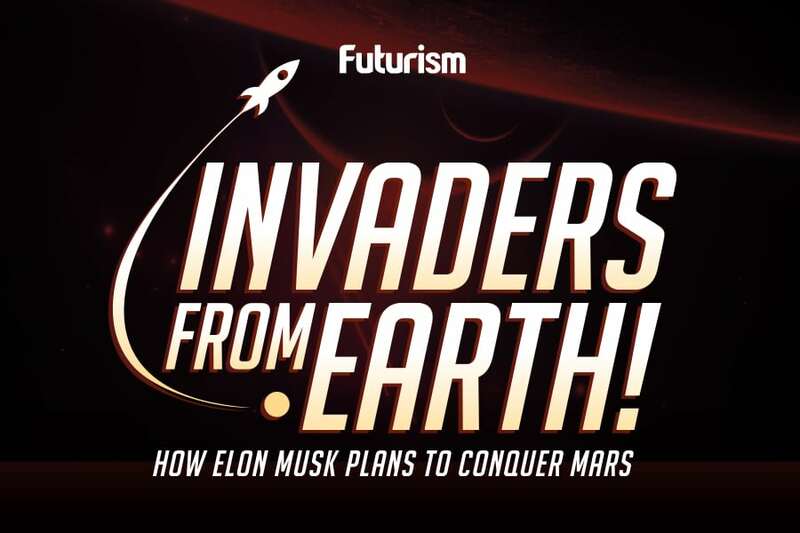 Elon Musk sees colonizing Mars as a necessity, and SpaceX has a congruently ambitious timeline for Mars exploration in place. The UAE has plans for a Mars Colony by 2117. Although the ESA is currently more focused on its plan for colonizing the moon, they did announce a joint Mars venture with Russia back in 2011. Even the Mars One Foundation is taking the non-profit approach to what is essentially the same goal: the establishment of a permanent human settlement on Mars. Challenges for human life on Mars will be extensive, however; and possibly more significant than previously thought. Based in part on medical data gathered from Scott Kelly of NASA and Mikhail Kornienko of Russia’s year-long mission on the ISS, an article from Space Policy argues that simulating Earth’s parameters for supporting human life will be virtually impossible. “We cannot simulate the same physical and environmental conditions to reconstruct the Martian environment, I mean such traits like Martian microgravitation or radiation exposure,” lead author and University of Information Technology and Management cognitive scientist Konrad Szocik told Seeker. Many discussions of terraforming Mars have ensued over the years, but the issue of any atmosphere created simply blowing away is a sticky problem for Mars. NASA scientists have conceived of a magnetic shell for Mars which might be able to retain an atmosphere. However, for each technical solution to a specific physical problem, there are numerous other issues that — according to the authors of the Space Policy paper — point to an inescapable conclusion: it will be more practical to modify the minds and bodies of the future residents of Mars than it will be to change the planet to support them. Szocik is also concerned about maintaining life on Mars. First, we would need a large enough colony to avoid problems of consanguinity, and we’d need a suitable technological and medical support system. Each medical worker would need to be specially trained to sustain and extend life on Mars in particular—which is, of course, something that basically no one in medicine at the moment is trained to do. In that respect, preparing for life on Mars might begin with changes here on Earth: we’ll have to reconsider everything we know about learning, relating, working, and be willing to redefine our life expectations.